European Community, Atlantic Community? For more than forty years the security alliance of the North Atlantic Treaty symbolised the common interests of Western Europe and the United States, and provided the context for all transatlantic political and economic relations. Yet the loss of a common enemy in the Soviet Union forced a reconsideration of the purpose of Nato and the mutual interests that still existed between Europe and the United States. 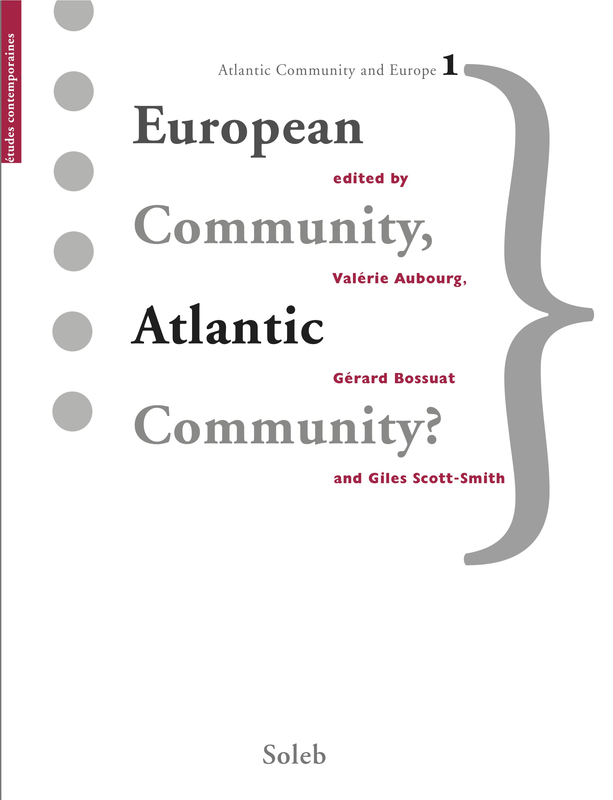 These contributions build on this post-Cold War reframing of transatlantic relations and offer a multi-faceted study of the values, purposes, milieus and networks that underlay the Atlantic Community after 1945. For a long time the notion of “Atlantic Community” was a widely used phrase denoting a taken-for-granted state of affairs—the organization of the West in front of the Soviet threat —with very little conceptual clarity behind it. In particular, the chapters consider what it meant, how the transatlantic intellectual and policy-making elites sought to convey it to their national publics, which circles supported it, and what the effects were in social life as a whole.